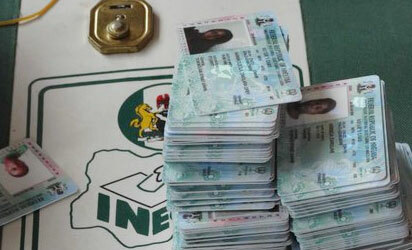 The Independent National Electoral Commission (INEC) in Abia has said that only 319 Permanent Voter Cards (PVCs) were burnt in Monday’s fire at the commission’s office at Isiala Ngwa South Local Government Area of the state. Mr Godfrey Achibie, Head, Voter Education and Publicity of the commission, confirmed the figure in an interview with the News Agency of Nigeria (NAN) in Umuahia on Thursday. He dismissed as unfounded the report in some section of the media that over 15,000 PVCs were destroyed by the fire. Achibie urged newsmen to always verify their reports from the right source before publication. He said, “Don’t listen to the people on the roadside and start publishing.’’ According to him, only a section of the office, where the PVCs were stored, was affected by the fire and not the entire building. He said that the commission was deeply concerned about the incident and was taking serious steps to quickly address it. Achibie gave assurance that the commission would replace the burnt PVCs, but could not confirm whether they would be ready before the Feb. 16 presidential poll. He expressed happiness over the enthusiasm showed by the people of the state toward the collection of their PVCs. He urged the people to be of good conduct during the polls, saying that INEC was ready to conduct free, credible and transparent elections.